Lotus Elise Cup 250 2016 is simply a more versatile version of Elise with new functionalities and revised features. The new member in the Lotus family enhances safety, driving performances and is capable of doing amazing things on track. It will be designed to retain its road manners and perfect day to day driving. 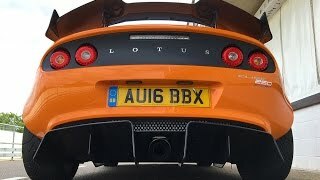 Let us have a look at the review of Lotus Elise Cup 250 2016 and get to know more about it. The interior of Lotus Elise Cup 250 2016 is offering several updates with the new model. It contains carbon sport seats in either black or red Alcantara. It maintains its standards with leather-wrapped steering wheel, a polished aluminum gear knob, a leather handbrake sleeve, engine start push button, and driver and passenger airbags .It also includes a matt black hard-top, air conditioning, cruise control, floor mats, quick-release steering wheel and airbag delete. There’s also an integrated in-car entertainment system with iPod connectivity and Bluetooth functionality. Thus concluding the interior details of Lotus Elise Cup 250 2016 I would simply say that it comes equipped with intuitive gestures. The exterior of Lotus Elise Cup 250 2016 has identical gestures to that of the Elise-S Cup. Starting from the front fascia the hood is half body-colored and half black, while both the wheels and the side intake inserts are also finished in black no competition. 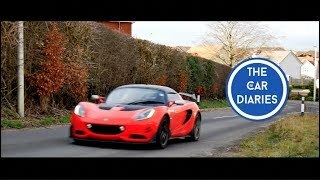 There’s a carbon aero pack that replaces front splitter, rear wing, rear diffuser and side skirts which came in the previous Elise the mirror caps are black instead of silver with a hard top available as an option. 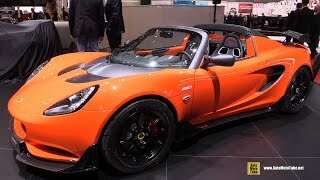 Thus rounding up the exterior details of Lotus Elise Cup 250 2016 I would call it an impeccable amalgamation of aerodynamic integrations, looks and luxury. Powered by a new higher-output version of the turbocharged, 1.8-litre 4-cylinder engine; the Lotus Elise Cup 250 2016 boasts 243 hp at 7200 rpm and 250nm of torque between 3500 rpm and 5500 rpm. A total of ten paint choices are available for the Cup 250: two are no-cost options, seven are metallic and one is the Signature Grey option. 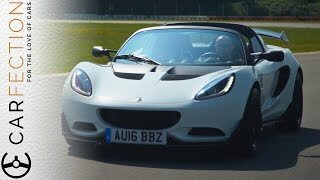 The top speed of Lotus Elise Cup 250 2016 touches the mark of 154 mph while the 0-60 mph marks can be knocked in 3.9 seconds only.